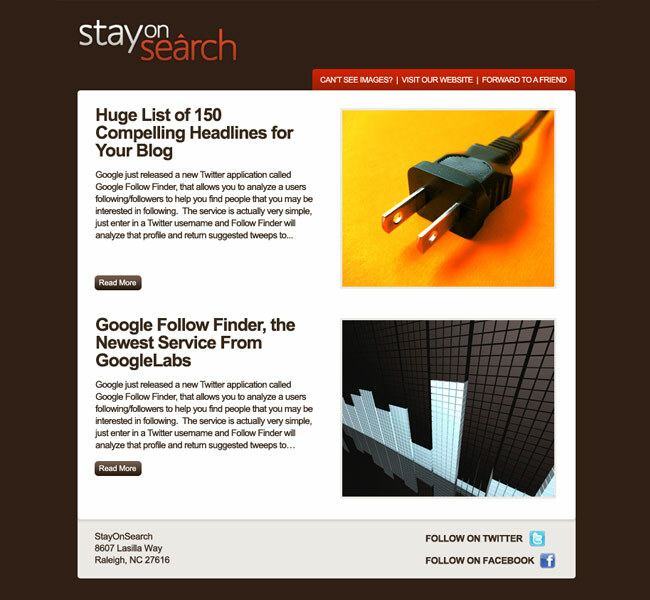 This simple and powerful email design was created to incorporate the online marketing & social media blog’s most recent articles. The email needed to be simple and eye-catching and allow for an excerpt from each post, along with the image that went with it. We added in links to the most popular pages to encourage users to visit their site, and made everything easy to read and look at.